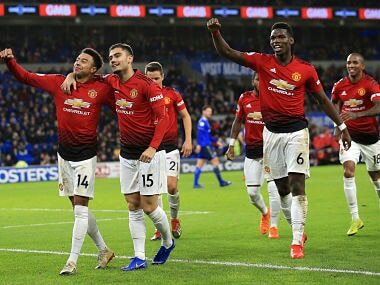 Cardiff: Ole Gunnar Solskjaer insisted having "good players" was the key to his instant impact as Manchester United caretaker manager in a 5-1 thumping of Cardiff on Saturday. Not since Alex Ferguson's final game in charge in 2013 had United scored five goals in a single Premier League game and the Red Devils looked a side transformed from the turgid football of Jose Mourinho's final days in charge. "They are very good players, talented players, they've approached the game properly and worked hard. A Man Utd team should never be outworked," said Solskjaer. The Norwegian has been put in charge until the end of the season after Mourinho was sacked on Tuesday and could not have asked for a better start in the Welsh capital. As well as getting Solskjaer off to a flying start, victory also sees United crucially close the gap on the Premier League top four to eight points thanks to Chelsea's 1-0 home defeat by Leicester earlier in the day. "We're eight points behind, so our job is to take one game at a time," added Solskjaer. "We always play well in the second half of the season." 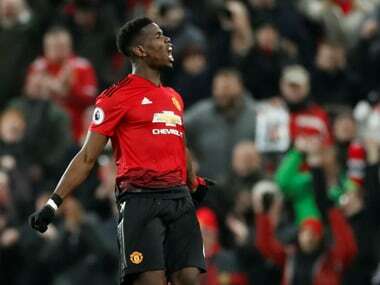 Paul Pogba was forced to watch the full 90 minutes from the bench last weekend as Liverpool inflicted the final blow to Mourinho's time in charge with a 3-1 win that left United 19 points off the top after just 17 games. The French World Cup-winner was restored from the start for the first time in four league games and looked far more like the player United splashed a then world-record £89 million on in 2016 than the one that clashed with his former boss off the field and disappointed on it for much of the past two seasons. "The performance of the team was great and we are happy that the first game of the manager starts like this," said Pogba. "It's important now to carry on like that. "We can not play like this and win with five goals and then the next game lose." 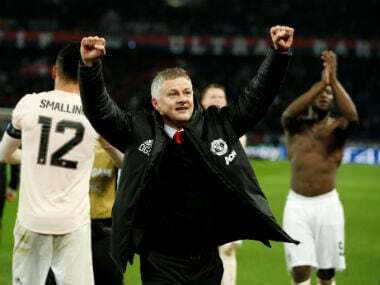 The visiting fans enthusiastically chanted Solskjaer's name throughout and were enjoying their side moving the ball around with a speed and accuracy more reminiscent of his days as a player at Old Trafford when United dominated English football. "It's nothing like they have been playing," said Cardiff boss Neil Warnock. "We expected that from the teamsheet." 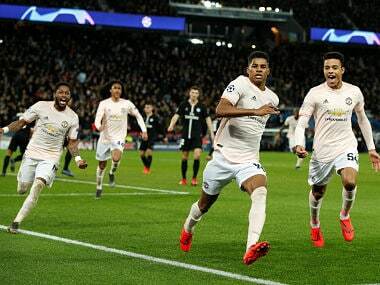 Pogba was at the heart of United's best work and having been fouled for the free-kick leading to Marcus Rashford's opener, his intelligent pass picked out Ander Herrera, whose shot flicked off Greg Cunningham to loop over the helpless Neil Etheridge to make it 2-0 inside half an hour. 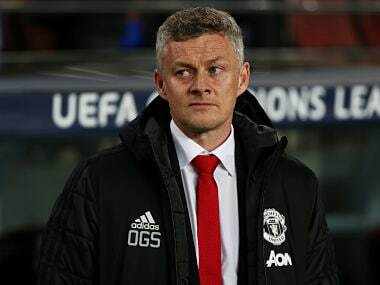 If Solskjaer's side were fortunate then, it was Cardiff who got a break nine minutes later when the assistant referee adjudged Rashford to have handled rather than control the ball with his shoulder inside the area. Victor Camarasa's perfectly-taken penalty could have sparked a collapse for a team short on confidence in recent times. Instead, United responded resoundingly with a fantastic team goal as a quick interchange of passes between Pogba and Jesse Lingard freed Anthony Martial to score his ninth goal of the season. Lingard took responsibility from the spot just before the hour mark after another soft penalty was awarded for a foul by Sol Bamba on the England international. And Lingard was the beneficiary of another defence-splitting pass from Pogba a minute from time as he rounded Etheridge and slotted into an empty net.